Get a look at the neighborhoods of the 2019 United Airlines NYC Half: Mile 4 takes us passed the iconic Junior's Restaurant and Bakery on Flatbush Avenue in Brooklyn. 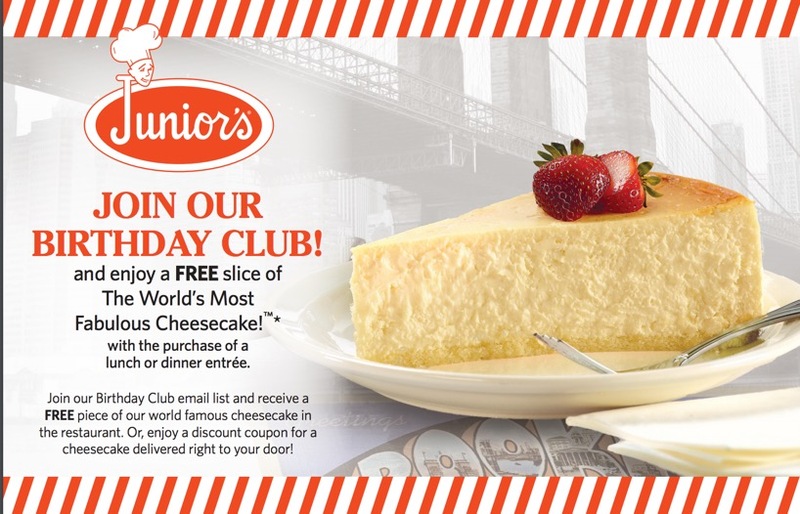 May 27th is Junior's Restaurant Day! 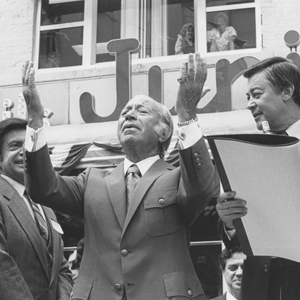 Junior's Restaurant founder, Harry Rosen, at the reopening of Junior's Restaurant on May 27th 1982, with Governor Mario Cuomo, celebrating Junior's Restaurant Day. This isn’t a national food holiday, but it is something for New Yorkers to celebrate! 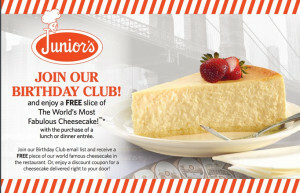 May 27th is Junior’s Restaurant Day, a day celebrating that famous cheesecake heaven in downtown Brooklyn. Although it feels like the restaurant has been around since forever, it’s only been in operation in Brooklyn since 1950, when Harry Rosen opened the restaurant and named it after his two sons. Since then it’s been a staple of Brooklyn cuisine, a place that exemplifies the food and the spirit of Brooklyn: simple, inexpensive dining, no frills or fanciness, but some damn good flavors and a hearty dessert while you’re at it. 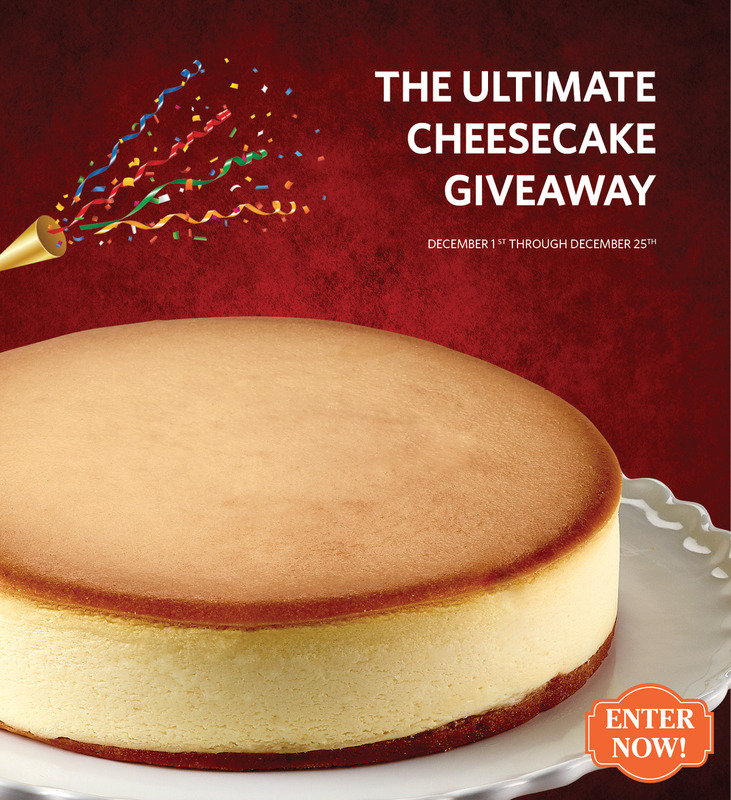 As some like to call it, "The World's Most Fabulous Cheesecake." In 1982, Governor Mario Cuomo declared May 27 as Junior’s Restaurant Day. 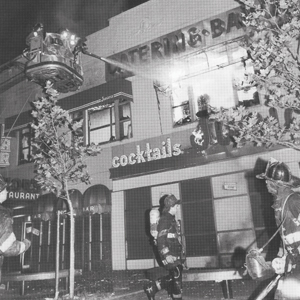 The day was marked to celebrate the reopening of Junior's Restaurant after the historic fire destroyed the top floor of the restaurant and the 'Burgundy Room' in August of 1981. During the fire, onlookers on Flatbush Avenue gathered and chanted "Save the Cheesecake! Save the Cheesecake!" Enter by clicking on the icon at the bottom of our homepage. 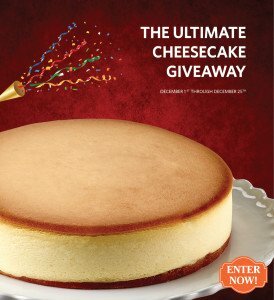 In celebration of the holidays, we are giving away one cheesecake everyday in the month of December until Christmas! 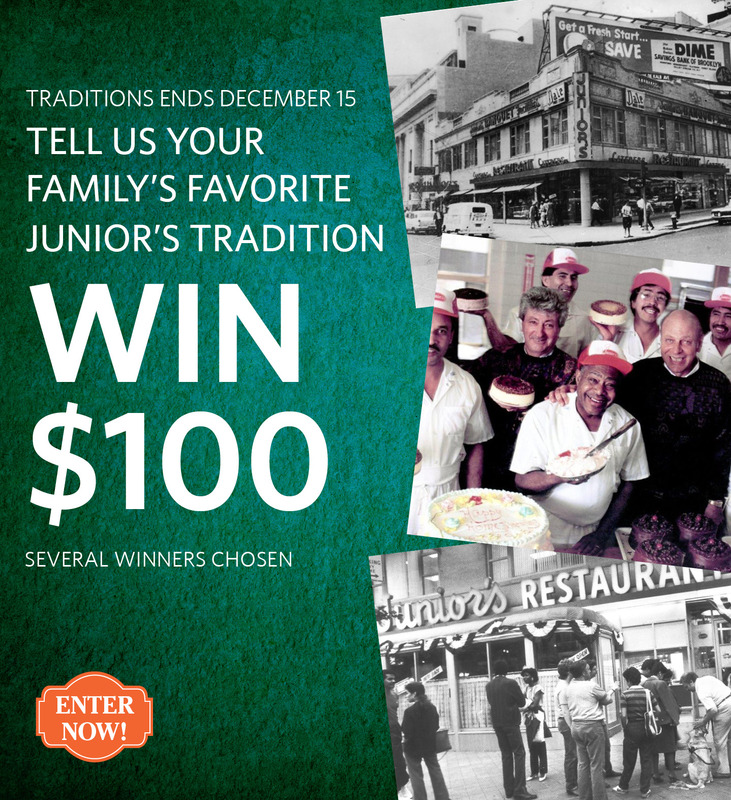 Enter now and share with your friends. *By entering you are subscribing to our newsletter and will be sent periodic specials and coupons! How could you lose? Enter on our homepage by clicking on the icon in the bottom center of your screen. Celina from NY. Frances from NY. Patti from NY. Sheree from CA. Sophia from VA. Yen from CA. Debbie from AR. Carolyn from PA. Erika from TX. Karina from CA. Danita from PA. Jazlyn from SC. Kevin from NY. J from CA. Andrea from MA. Susan from MD. Naf from TX. Michael from FL. Alisha from NY. Lori from NC. Watch a retelling of our history in true Brooklyn Style!